Bioinformatics uses information technologies to facilitate the discovery of new knowledge in molecular biology. Among the information technologies, data mining is the core. 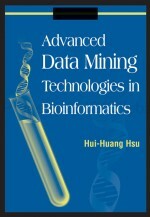 This chapter first introduces the concept and the process of data mining, plus its relationship with bioinformatics. Tasks and techniques of data mining are then presented. At the end, selected bioinformatics problems related to data mining are discussed. Data mining aims at uncovering knowledge from a large amount of data. In molecular biology, advanced biotechnologies enable the generation of new data in a much faster pace. Data mining can assist the biologist in finding new knowledge from piles of biological data at the molecular level. This chapter provides an overview on the topic.